Afrose holds an M.A. in Asian Studies from the University of Texas where she translated from Urdu to English the poetry of Makhdoom Mohiuddin, a revolutionary and romantic poet from afrose’s homeland of Hyderabad, India. 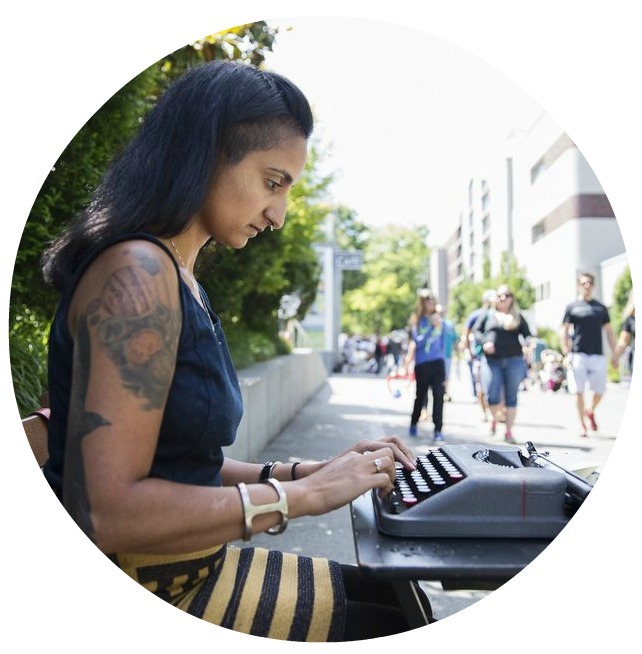 Afrose is a 2017 Artist Trust GAP grant recipient, a 2017 Jack Straw Writer, and a Voices of Our Nations Arts (a multi-genre workshop for writers of color) alumna. 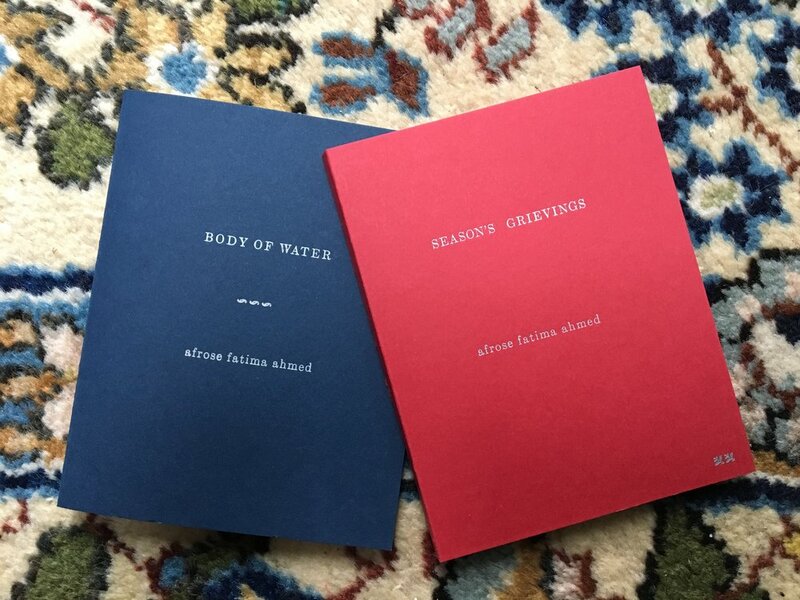 Afrose is the author of four self-published poetry chapbooks: he won’t dance with me (December 2013), BODY OF WATER (October 2016), 70,000 Veils (October 2016), and Season’s Grievings (August 2017). Afrose is currently working on her first full length collection of poems entitled blood gold and honey, which are a few of her favorite things, and takes the shape of a tarot deck of her own design. Afrose climbs in her spare time, in order to gain perspective.